A small cafe in Duluth was in the spotlight after the national TV show "Fox & Friends" announced it will broadcast from the restaurant Thursday morning, following President Trump's visit to the city. 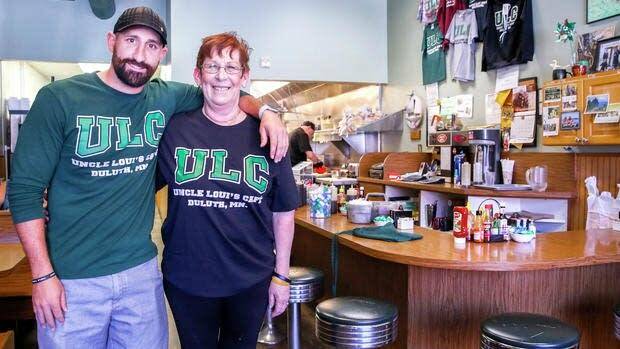 Uncle Loui's Cafe, a local favorite since 1993, was bombarded by comments and calls. Some people vowed not to eat at the restaurant again, while others commended the restaurant for representing the city. The owner of the cafe, Debra Strop, thinks the president's visit to Duluth brings business and recognition to Duluth. "It puts us on the map, nationally ... I mean our hotels are full, revenue's good, my restaurant is busy, I'm sure a million other restaurants are busy," she said. Strop said the initial wave of negativity was intimidating, though, and made her nervous for the day ahead. "And then I thought, well, everyone's got their opinion, and I'm on board with this, I think it's good for the city of Duluth, I'm not going to let the city down," she said. As the day went on, support began to pour in online, over the phone and in person. "I've had lots of positive comments now, even when we go out. ... People are saying, 'Don't worry, we support you,'" she said. Strop also said that her decision to host "Fox & Friends" at the cafe has led to people jumping to false conclusions about her political leanings. "It's just like where Trump will be today, down at the DECC — they're not Trump supporter[s] either, they're the venue where he's going to give his speech," she said. Ultimately, she thought the positive comments outweighed the negative. She and her son were preparing to open early on Thursday. "Whether it's Trump, Obama, whoever ... we're good people here," she said.